The future of content marketing is larger than life at the moment as businesses prepare to enter the new year of 2016. Content creation is essential to more hits and better visibility, no matter what the industry. Even a quirky pet food website can get a little exposure from a a comical perspective or a forwarded link from someone who was amused by something as simple as a motto, branding choice, or slogan. Check out this BuzzFeed article that presented the video (below) on people eating dog food for the first time. 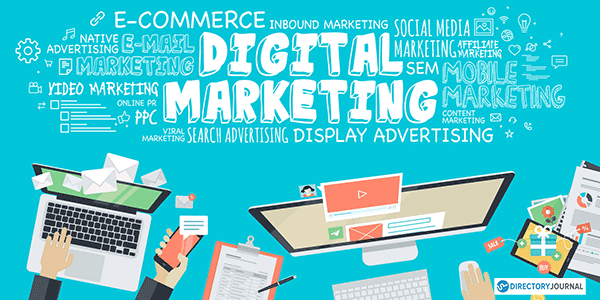 While traditional marketing budgets have focused on SEO (search engine optimization) and social media, there is a twist to efficacy of the use of these methods. One good way to predict the future is to look at the present and to analyze the past. That means that we are looking at what we have learned from 2015 content marketing practices. Publication is part of a bigger picture. Value comes from distribution efficiency. While it is easy to understand that content and publication pillars are an important part of a successful content marketing strategy, some still don’t measure up to where they should be, in the overall plan. The distribution of content can be creative and make a difference in the amount of customers who are exposed to your website. Exposure to the website is exposure to the product or service that you are selling. However, very few marketers seem to properly invest in content distribution, making this an area that businesses will likely identify as a weak link in their chain of operations. What does this mean? This means that if you are a marketer and you want to get ahead in the game, in 2016, you need to focus on the efficiency aspects of your content distribution. If you are a business, you also need to focus on that content distribution, with the same emphasis, whether you are doing the manual labor (or your employees), or you are hiring an agency. You need to ask for stats and metrics to prove that the agency knows how to “get the word out” to the public. You may have the best article ever written, but if no one knows about it, it is nothing. Get it distributed wide and far and do that with the utmost efficiency. That is where it is at for 2016! Will the quality of the publication suffer? This does not have to be the case. Strategic distribution of content is a definite advantage that sets businesses apart. Despite the push to be “competitive” in content marketing, optimization of mobile and search distribution is only contributing to a company’s competitive edge in the long run. Communicating with the right people and companies that are influential in your target market is also key to developing strategic distribution that matters. Advertisers like BuzzFeed, for example, are generally hubs for media consumption and advertisers can get a good idea of trending phenomena that will generate clicks for clients. Visit sites like BuzzFeed to get an idea of what you should be covering and start working on that strategy and an effective strategy, at that. It is unlikely that social media sharing is going to diminish any time soon in 2016. Social media sill makes a considerable part of the cultural and economic landscape that we call “life.” Distribution through this and other channels, such as mobile, as well as online advertising, will likely be used in 2016. Social media may grow and more channels may pop up in the horizon of 2016. Already, people distribute their content on several channels and social sites and use tools like Hootsuite, Buffer, etc. to get the job done. Even more tools are coming online to help them do just that. This means that all activity shared is quickly party to thousands of viewers and consumers in a short amount of time. This mean organic content distribution, in addition to paid advertising, is filling the tapestry of the world, as we know it. Both can be used to increase profits and increase exposure effectively, using less blatant advertising and more integrated content. Looking toward 2016, you want 1) efficiency; 2) effectiveness; 3) appropriate tools in getting your content out there quickly, to the right people, and using the appropriate tools that help you accomplish that. Remember, you want your content to be read, viewed, listened to, watched, and blasting it out to the world, to the wrong audience doesn’t do you any good and if it takes you six months to get that article out there, the time has passed. So, let’s strategize on how to do it right and most importantly, how to gain that advantage for you and your brand in 2016.